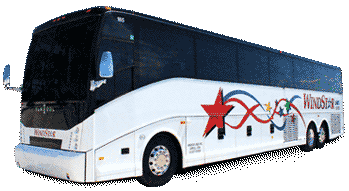 FOR CHARTER BUS AND MOTORCOACH SERVICE! 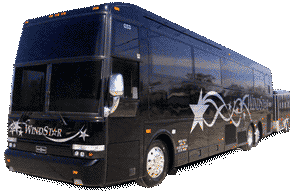 Windstar Lines provides luxury charter bus rentals and superior customer service. We travel throughout the USA, providing ground transportation service to or from anywhere in the continental United States and Canada. With 9 locations throughout the United states, including Iowa (Carroll, Cedar Rapids, Des Moines, and Dubuque), Nebraska (Lincoln), Illinois (Rockford), Missouri (Kansas City), South Dakota (Sioux Falls), and Nevada (Las Vegas) we are able to serve our customers with efficiency and ease. 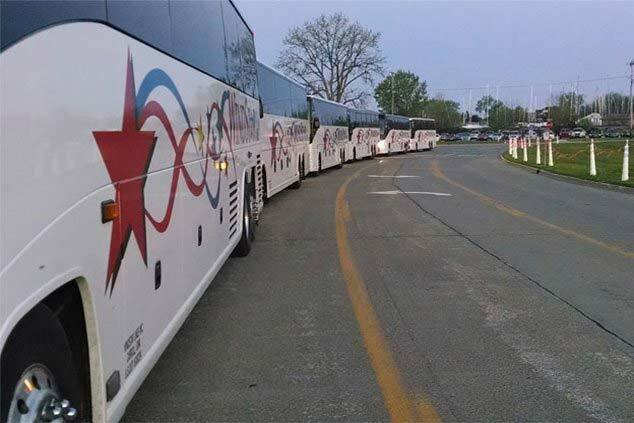 We proudly accommodate groups of all types and sizes, including, but not limited to the following: colleges/universities/school districts, athletic teams, tour operators, DMO’s, musicians/entertainers, convention transport, shuttles, corporate travel, hotels/casinos, church groups, weddings, family reunions, military, adult leisure groups, bank clubs, and many more! 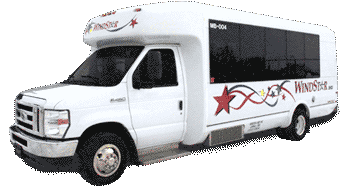 Windstar Lines operates a large and varied fleet that includes 21 Passenger Minibuses, 47-56 Passenger Luxury Motorcoaches, as well as VIP Sleeper Motorcoaches that are designed for overnight travel. With such an array of buses and motorcoaches, we are well-equipped to accommodate groups of all sizes - from 6 to 6,000 passengers! Windstar Lines is a family-owned and operated company that has been in operation since 1995. Our company's core values are safety and service. 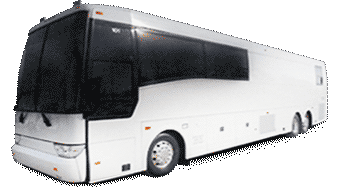 We make it our mission to provide superior charter bus service with clean, reliable, late-model equipment, and drivers who are safe, friendly, knowledgeable, and accommodating to the ever-changing needs, conditions, and circumstances that every trip presents. With an impeccable safety record, we have routinely received the highest ratings possible from the Department of Transportation, the Department of Defense, and the Transportation Safety Exchange. 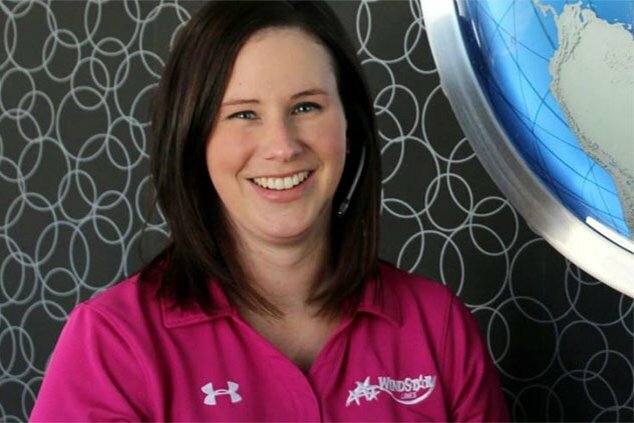 In 2012, Windstar Lines received the prestigious VISION Award, given annually by the United Motorcoach Association to an operator who signifies excellence in the charter bus industry. Our experienced team is happy to assist you with all of your ground transportation needs. 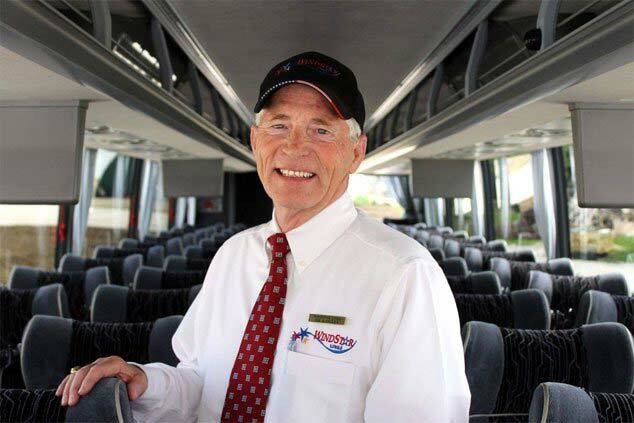 Whether you're an old pro at chartering a motorcoach or you're brand new to it all, we're glad to help. Contact us today for your free quote! If you're a "newbie" to all of this, check out our helpful tips on How To Get Started! Welcome to Windstar – we'll see you soon!